Transcriptional interactions in a cell are modulated by a variety of mechanisms that prevent their representation as pure pairwise interactions between a transcription factor and its target(s). These include, among others, transcription factor activation by phosphorylation and acetylation, formation of active complexes with one or more co-factors, and mRNA/protein degradation and stabilization processes. 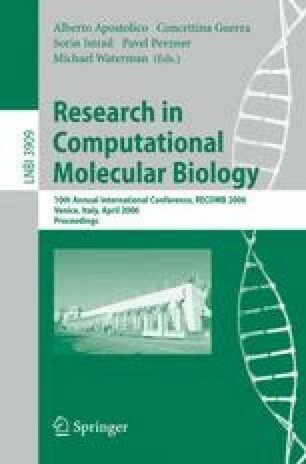 This paper presents a first step towards the systematic, genome-wide computational inference of genes that modulate the interactions of specific transcription factors at the post-transcriptional level. The method uses a statistical test based on changes in the mutual information between a transcription factor and each of its candidate targets, conditional on the expression of a third gene. The approach was first validated on a synthetic network model, and then tested in the context of a mammalian cellular system. By analyzing 254 microarray expression profiles of normal and tumor related human B lymphocytes, we investigated the post transcriptional modulators of the MYC proto-oncogene, an important transcription factor involved in tumorigenesis. Our method discovered a set of 100 putative modulator genes, responsible for modulating 205 regulatory relationships between MYC and its targets. The set is significantly enriched in molecules with function consistent with their activities as modulators of cellular interactions, recapitulates established MYC regulation pathways, and provides a notable repertoire of novel regulators of MYC function. The approach has broad applicability and can be used to discover modulators of any other transcription factor, provided that adequate expression profile data are available.